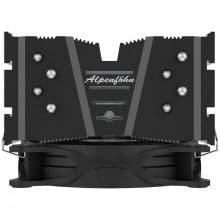 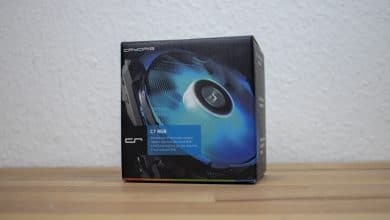 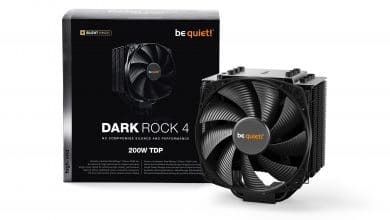 Alpenföhn, known for its inexpensive and efficient CPU coolers for gamers and enthusiasts, proudly presents the successor to the popular Brocken ECO. 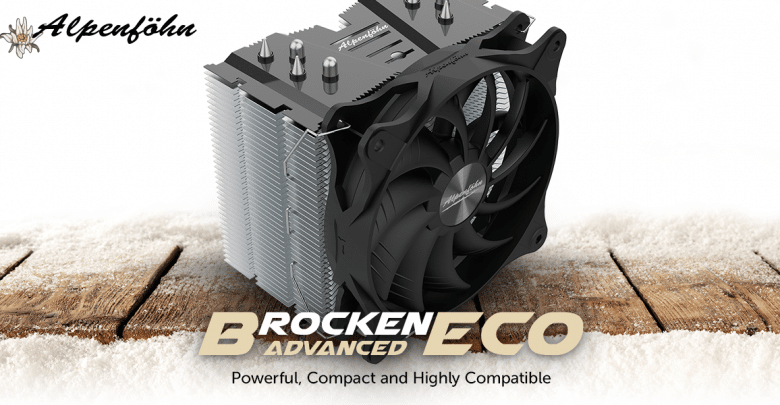 The Brocken ECO Advanced has been redesigned from the ground up. As a result, it offers even greater efficiency and can discharge up to 170 watts of TDP. 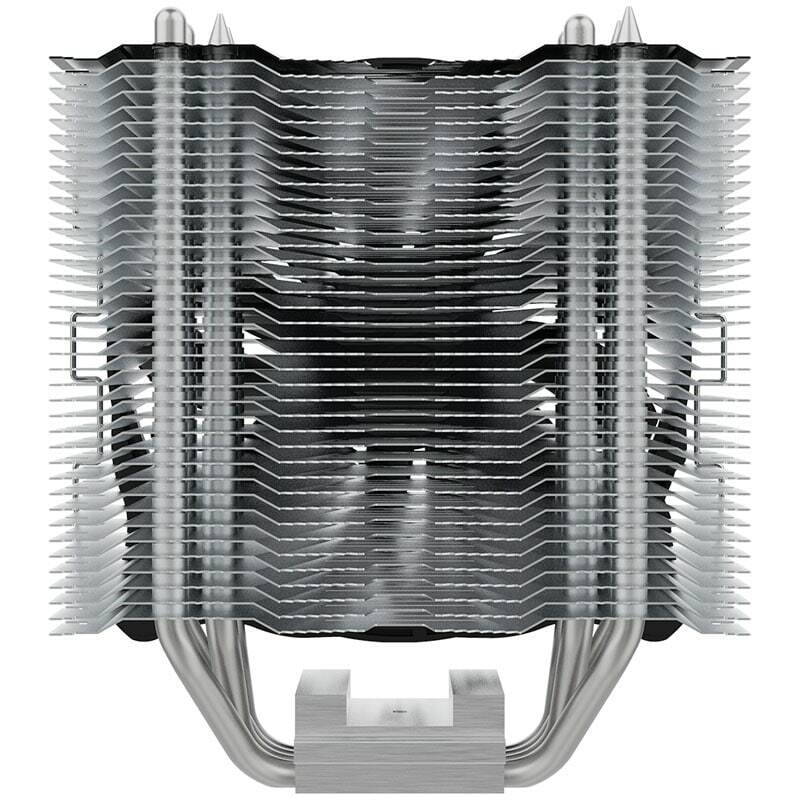 In addition, assembly has been simplified. 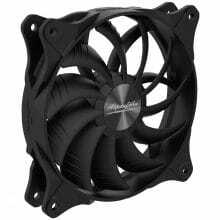 Like its predecessor, the Alpenföhn Brocken ECO Advanced impresses with an excellent price-performance ratio. 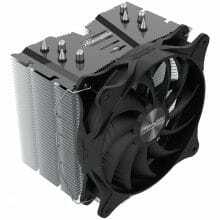 Caseking now. 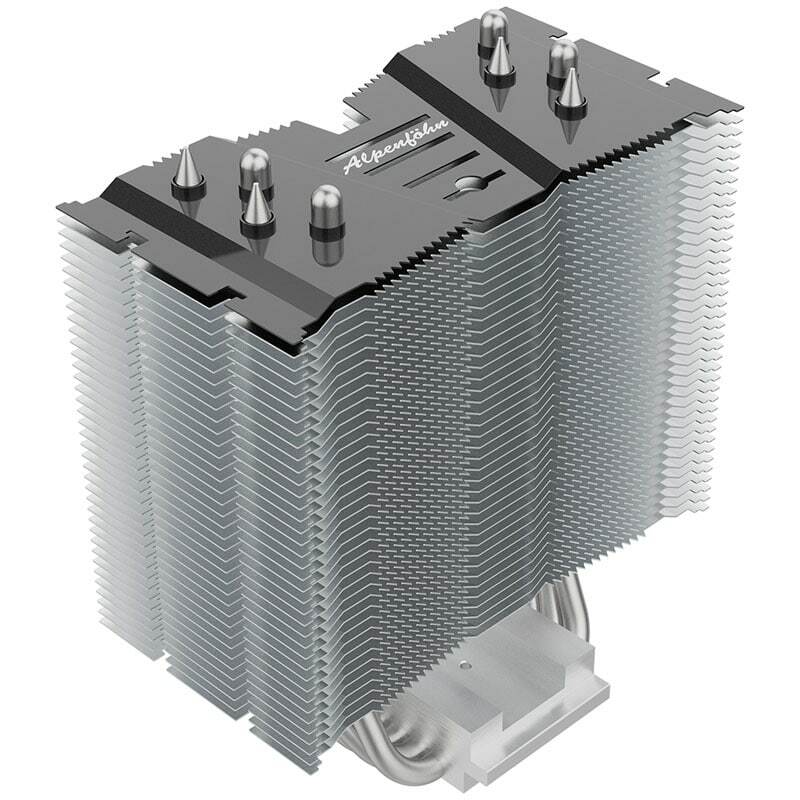 The still compact dimensions of the Brocken ECO Advanced are not only a price argument, they also accommodate all those who do not have quite as much space available in their enclosures for an expansive tower cooler. 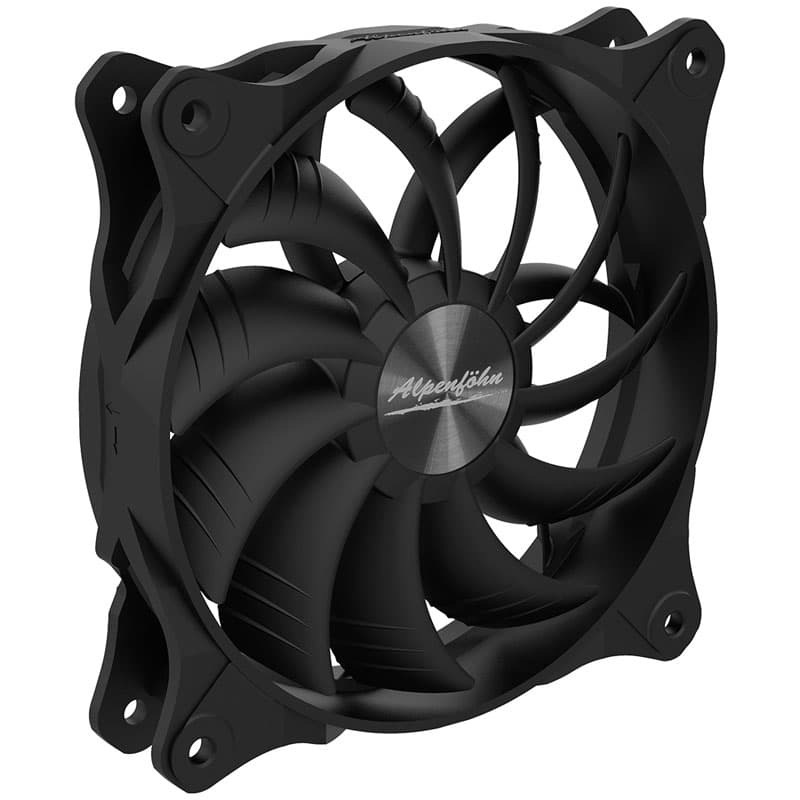 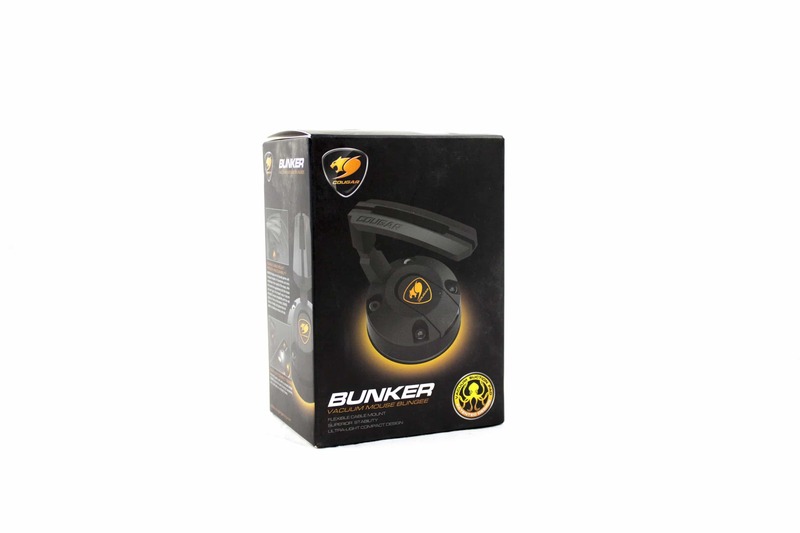 The Wing Boost 3 fan, which is oriented towards the 120 mm format, also contributes to this, so that the ECO Advanced and fan protrude only 14.9 cm into the case. 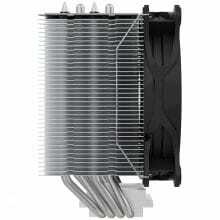 A total of four copper heatpipes form the contact between the base plate and the heat sink with its aluminium fins. 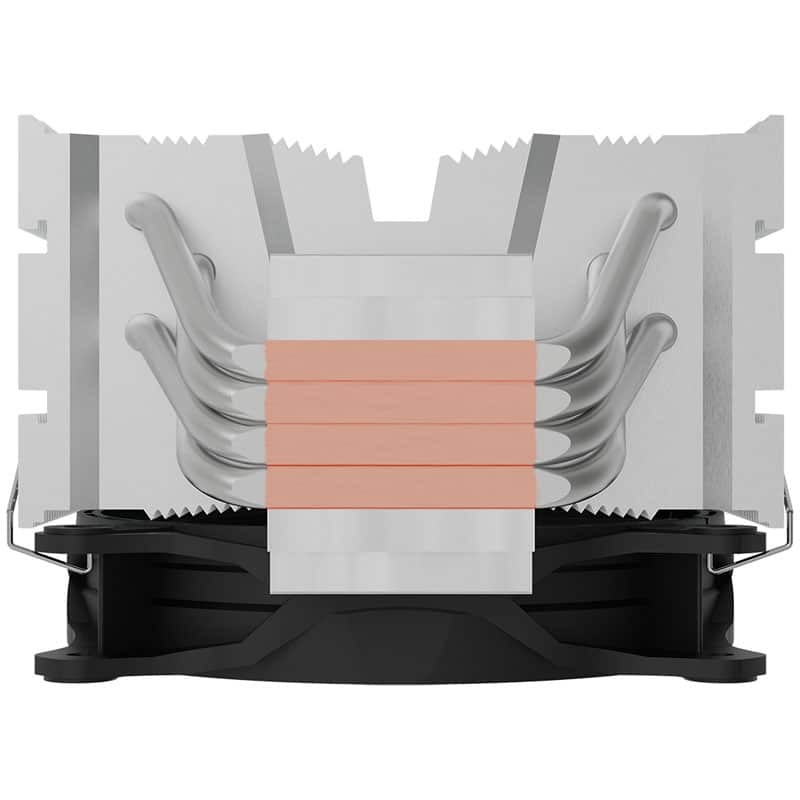 For optimum heat transfer between processor and cooler, the 6 mm heatpipes are again embedded directly into the base plate using the “Gapless H.D.T.” method. 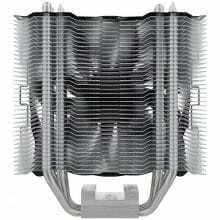 With this asymmetrical design, the four heatpipes protrude so high that the heat sink is not exactly centered above the base plate, but slightly offset to the rear. In this way, most motherboards on the market do not block a single RAM slot from the cooler or the first PCI-Express slot, even if the fan is mounted at the front – as usual – and thus blowing in. As a fan, Alpenföhn includes an ultra-modern representative from the revised WingBoost 3 series, which, thanks to the new angle of attack of the fan blades, offers a significantly higher volume flow, total pressure and outlet speed at the same speed. 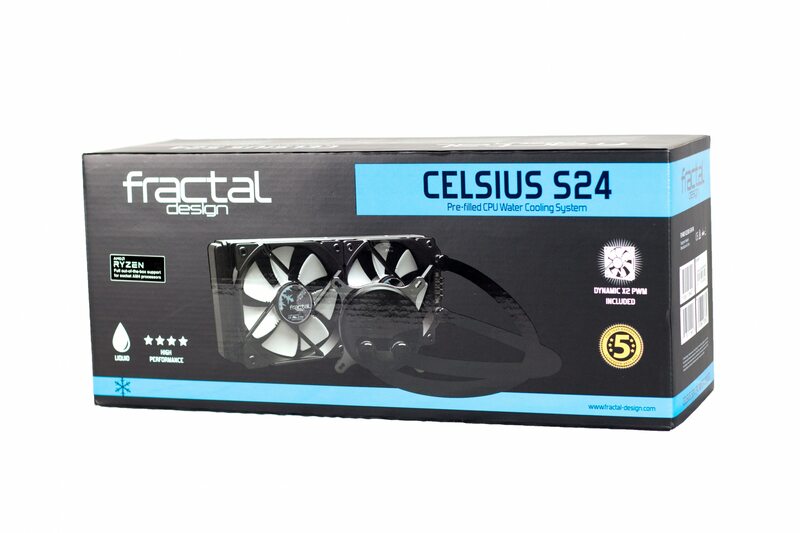 The static pressure is significantly increased by a fixed integrated guide wheel in the fan frame and a swirl reduction in the outlet flow is achieved. The result is a further optimization of the radial flow component and a resulting noise reduction, because the flow is not broken hard when the air flow reaches the aluminium fin. In addition, the Alpenföhn Brocken ECO is compatible with all current motherboard sockets from AMD (AM2/AM2+, AM3/AM3+, AM4, FM1/FM2/FM2+) and Intel (775, 1150/1151/1155/1156, 1366, 2011, 2011-V3, 2066) and thanks to the “RockMount 2” system is easy and safe to install. 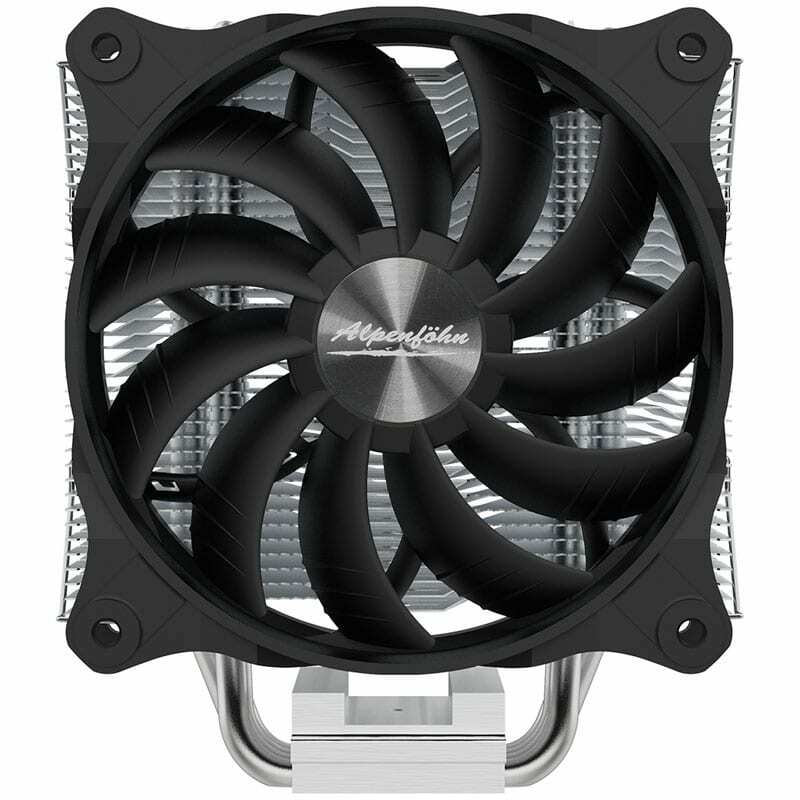 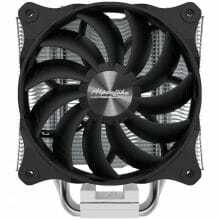 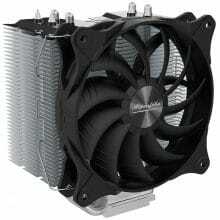 The Alpenföhn Brocken ECO Advanced is suitable for anyone looking for a powerful, quiet and compact CPU cooler and is now available at the price of 34.90 Euro at Caseking.